Member State wishing to withdraw notifies the European Council of its intention. Notification can be withdrawn unilaterally; Wightman (2018). No special arrangement, WTO law only (“Hong Kong model”). The United Kingdom’s exit from and new partnership with the European Union (February 2017): ‘an ambitious and comprehensive Free Trade Agreement’. * With regard to Brexit, the Council adopted a decision on the future composition of the European Parliament; Decision 2018/937. First mentioned in Opinions 1/91 (EEA I) and 1/92 (EEA II); subsequently in other important rulings, e.g. Opinion 1/09 (Patent Court), Opinion 2/13 (Accession to the ECHR), Achmea (2018), Wightman (2018). The autonomy of Union law is linked to Art. 4(3) TEU (see Chart 1/12). Cases which are confined in all relevant aspects within a single Member State (i.e. without an international element) are not covered; e.g. Care insurance (2008); Ullens de Schooten (2016), Gibraltar Betting and Gaming (2017). Note, however, the special case of establishment under Directive 2006/123; Chart 8/54. Reverse discrimination (i.e. worse treatment of a Member State’s own nationals or goods) is not an issue; e.g. Saunders (1979), in relation to the free movement for workers; Mathot (1987), in relation to the free movement of goods; compare with Rau (1982). Independently of any consideration of the purpose for which they were introduced and the destination of the revenue obtained therefrom. Any pecuniary charge, however small and whatever its designation and mode of application, which is imposed unilaterally on goods by reason of the fact that they cross a frontier, and which is not a customs duty in the strict sense; Diamond Workers (1969), Capolongo (1973), Brzeziński (2006), SC Petrotel-Lukoil (2018). 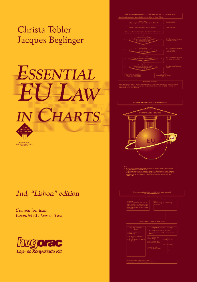 Interzuccheri (1977), Enirisorse (2003), Stadtgemeinde Frohnleiten (2007): one and the same scheme cannot belong simultaneously to both categories; it is either a tax or a customs duty/charge having equivalent effect.